On Wednesday, November 29th and Thursday, November 30, 2017, The Very Rev. John Kowalczyk was invited by the Drexel University College of Medicine to be a major presenter at the 25th Annual Forensic Rights and Treatment Conference. Fr. 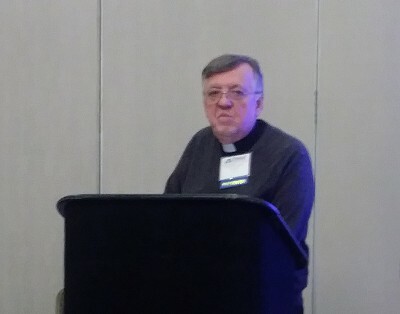 John gave his three hour presentation on Wednesday, November 29 on: "How to Minister and Navigate with the Religiously Fixated Mentally Ill Inmate" and explored the "Theology of the Ministry of Presence" and how to affirm and treat the whole person with the healing of Mind, Body and Soul. 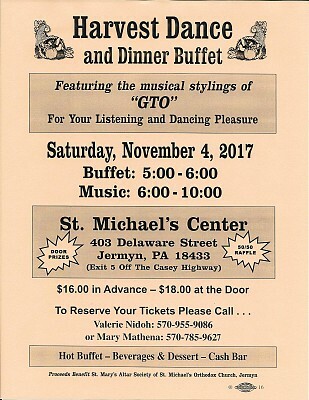 St. Mary's Altar Society of St. Michael's Orthodox Church presents the 2017 Harvest Dance and Dinner Buffet: Saturday evening, November 4th, at St. Michael's Center, 403 Delaware Street, Jermyn, PA 18433. See below for details. 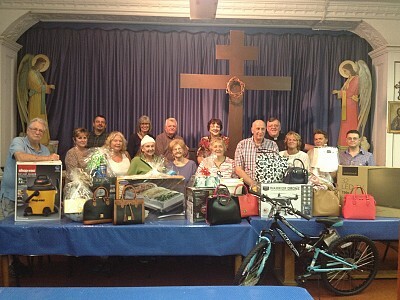 The 8th Annual Parish Festival “Christmas in September and Car Show” on September 22 through 24 at St. Michael's Center in Jermyn, Pennsylvania, was a tremendous success. Very Rev. 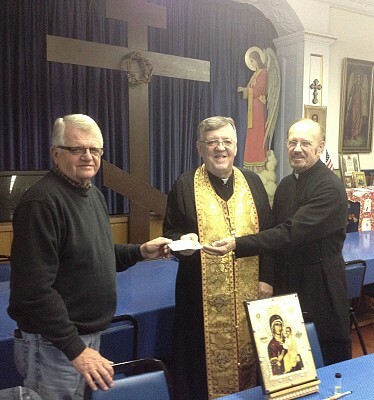 John Kowalczyk and Protodeacon Gabriel Petorak accept a check on behalf of St. Michael's Orthodox Church from St. Michael's Council President and Festival Committee Chairman, George Petorak. 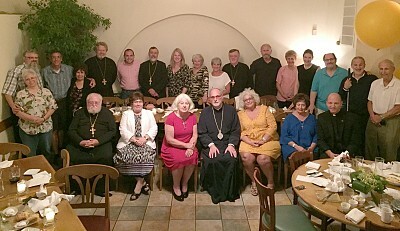 We give thanks to the hard-working Committee members and to everyone who supported our Parish Festival as we embraced the greater community with our open hearts and hospitality. St. Michael's Festival Committee announces the 2017 Christmas in September to be held Friday, September 22 from 4 pm to 8 pm; Saturday, September 23 from 11 am to 8 pm; and Sunday, September 24 from 9 am to 4 pm, which will include a car show. The event will be held at St. Michael's Center, 403 Delaware Street, Jermyn, PA 18433 and will include live bands, homemade ethnic foods, raffles, children's activities and much more. 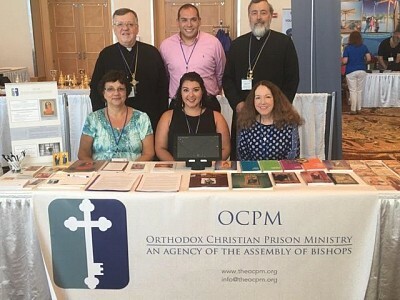 Assembly in Miami, Florida, from July 24th to July 28th, spreading the message of the Orthodox Prison Ministry. 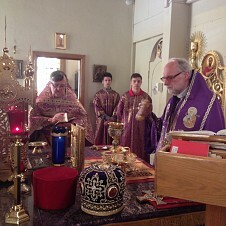 God's blessings to all the participants: Fr. 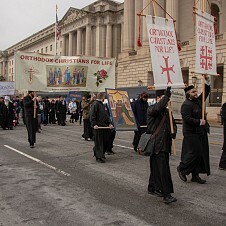 John Kowalczyk (Secretary of the OCPM Board of Directors), Paul Politis (Director of OCPM Operations), Fr. Stephen Powley (Executive Director of OCPM), Matushka Katherine Kowalczyk, Vicki Haskopoulos, and Presbytera Ashley Powley. Home Made Holiday Rolls for Sale: Nut, Poppy, Apricot, Lekvar, and Pineapple Coconut. $10.00 each. Advance orders Please call Ruth Ann at 570-876-1456. 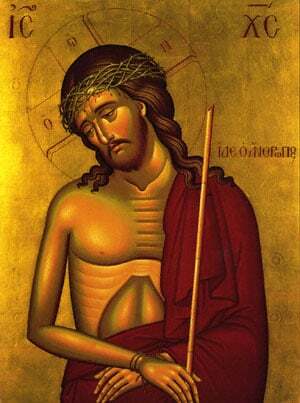 For your convenience, the Home Holiday Rolls are available weekly and on Sunday following services. 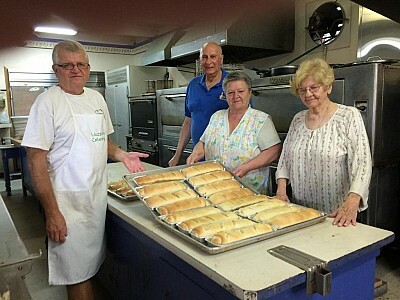 They are made by the bakers of St. Michael’s Center in Jermyn, Pennsylvania.